The breadth of our ministries demonstrate our faith, dedication and obedience to God’s word. 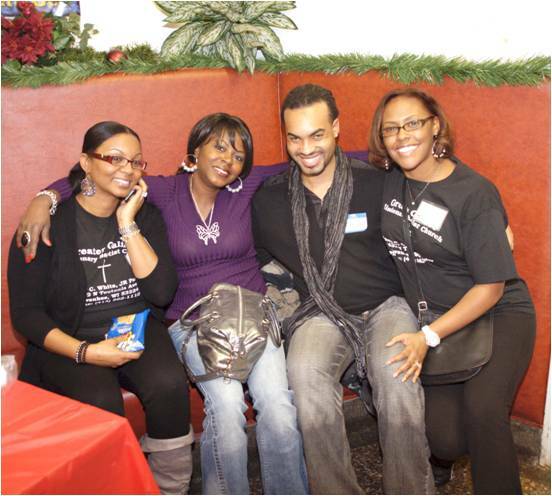 With love and fellowship we provide services reaching out to members, families and community. The support of our ministries through our members create a compelling spiritual environment in our worship, services and activities. Our Pastor, along with our Assistant Pastor and Ministers, lead the church in bringing more souls to Christ through guidance, encouragement and the teaching of God’s word. Through pastoral care and leadership members are encouraged in ministries and spiritual growth. As the Pastor's spiritual helpers and assistants in all matters, the Deacon's Ministry lead devotional services and are in front to witness to the truth. They minister to the congregation, sick, bereaved and new members. Our Sunday School teaches God's word to witness Jesus Christ the Savior, and to lead people to growth and understanding in Him. The focus is to produce quality and devoted life for Christ. The Laymen Ministry evangelizes about Christ, to enlist souls and advance the kingdom of God. Committed and willing servants, they labor in love to win lost souls and guide young men and youth to follow biblical teachings. The activities of our Missionaries are twofold: First, reaching inward, nurturing our membership through mission study, education, fellowship and prayer. Second, reaching outward through personal witnessing, evangelizing, helping the needy and less fortunate all in the name of our Lord and Savior Jesus Christ. Our Missionaries' annual fundraising event is used to support foreign and local missionary activities. In addition, this ministry is actively involved in contributing specifically to sick and shut-in thru visitations and homeless children through various donations. Our church Mothers minister to the sick and shut-in and thru their wisdom offer spiritual guidance to young Christian women. The Nurses Ministry assist members during church services and will give information to aid in having a spiritual and healthy life in Jesus Christ. The Prayer Warriors Ministry encourages and promotes prayer within the life of the church. They are actively responsive to prayer requests both personal and corporate. The Communications Ministry reaches the congregation and our community through media in order to inspire, inform, and invite participation in the mission and purpose of the church through public relations, special projects, technical, and cyber media. An extension of our Missionary Ministry, our Young Adult Ministry engages in missionary and outreach activities. They actively support the spiritual growth of our youth through guidance and encouragement. Our Nursery/Children Church is designed for infants through age 11. While adults are in Sunday worship service, this ministry focuses on building and equipping children for Jesus Christ. An annual Children's Banquet is held each year, where our children lead us in worship and praise of Jesus. Our Deaconess, in support of the Deacons, provide assistance in baptism and communal services. They sponsor breakfast and luncheon services to foster spiritual worship and fellowship. Our Children/Youth Ministry has various outlets throughout the church to learn and grow in Christ. Children can grow from our nursery to our children's church, angel choir, praise dance ministry, and Junior Laymen or Ushers. Our youth are encouraged and supported for participation in activities such as a community outreach programs, National Baptist Christian Education Congress and state youth programs/rallies. We know our youth are our future and work to provide an environment of nurturing and spiritual growth through church youth programs. The Scholarship Ministry supports youth and adult members of Greater Galilee Missionary Baptist Church in their achievement and completion of educational goals by providing monetary, material assistance (school supplies) and recognition for their participation in educational projects and services. The Music Ministry gives spiritual uplifting through music, songs, praise and dance. Our diversified (from Children to Men) choirs ares well known in the community and have provided music concerts to local outreach facilities such as nursing homes and prisons. The Gathering at the Crossroads Ministry is dedicated to service, encouragement, life-changing, and focus opportunities for individuals of all ages, families, and the communities by promoting wellness both physically, mentally, and spiritually. In addition to family workshops, they offer referrals to resources and organizations for assistance in personal, family and social needs. The Seniors Ministry presents a companionship environment of ministry and fellowship for seniors by offering communal gatherings and ministry projects, such as donation of toiletries to the poor and homeless, visiting nursing homes and fundraisers for church donations. Our Transportation Ministry services members with transport to church services and other worship commutes. Christian Education Ministry, composed of our ministry leaders, is actively involved in supporting ministries in the planning of church activities and programs for the purpose of unifying services and Christian Education. In addition to various ministry workshops, an annual Christian Education Leadership School is held offering various biblical studies to the community and other churches throughout the area. The Trustee Ministry insures the physical and spiritual needs of the church are available by executing the fiscal responsibilities of the church.